If you want to make my day in August, call me early in the morning and invite me to go blueberry picking. That's exactly what happened one day last week and I spent a fabulous few hours out picking (and taste testing!) berries. While we were picking, we talked about how different people approach picking berries differently. Bonnie says she roams around a lot because she always wants to find the biggest berries and she doesn't have much patience for picking the small ones. She said that when she was little and would go picking with her aunt, her aunt would sit in one spot and pick every berry on whatever bush was in front of her, regardless of size, before moving on to another bush. I tend to pick in one spot for a while, then roam around until I find another good spot, then sit there and pick for a while. I don't pick every berry on the bush before moving on, but I don't only pick the biggest ones, either. Gord picks slowly, but cleanly. No unripe berries or leaves mixed in with the good ones, whereas Bonnie picks faster, but dirtier. She has to sort through her berries when they get home. Nathan picked some, ate some, picked some more, ate some more. He kept looking into my bucket and saying, "I don't have as many as you." Hardly surprising since I think he ate more than made their way into his bucket, lol. My father-in-law goes out for hours and hours and hours at a time, leaving early in the morning and getting back around suppertime or even later. Other people get tired of it after only a couple of hours. Blueberry picking style really doesn't matter in the end, though. There's no right or wrong way to pick berries. We're all just out there to get some yummy blueberries to take home. Strangely enough, this musing about how differently we approach picking berries had me thinking about unity in the church. Before His crucifixion, Jesus prayed, "I am praying not only for these disciples but also for all who will ever believe in me through their message. I pray that they will all be one, just as you and I are one—as you are in me, Father, and I am in you. And may they be in us so that the world will believe you sent me" (John 17:20,21). He prayed for our unity, but unfortunately many over the years have confused unity with uniformity. Unity means "being united or joined as a whole" while uniformity means "the quality or state of being uniform." Can you see the difference? Unity is being part of something bigger than just you. The church or a group of blueberry pickers, for example. Uniformity is being the same as everyone else. There's no individuality, no personality, no difference in style. If you don't do things the same way as everyone else, then you're either not doing it right or you're not part of the group at all. The problem is, God never intended us to be uniform. Just look at us! He designed every one of us, from our appearance to our personality to our talents and even to our blueberry picking style. Psalm 139:14 says, "Thank you for making me so wonderfully complex! Your workmanship is marvelous—how well I know it." 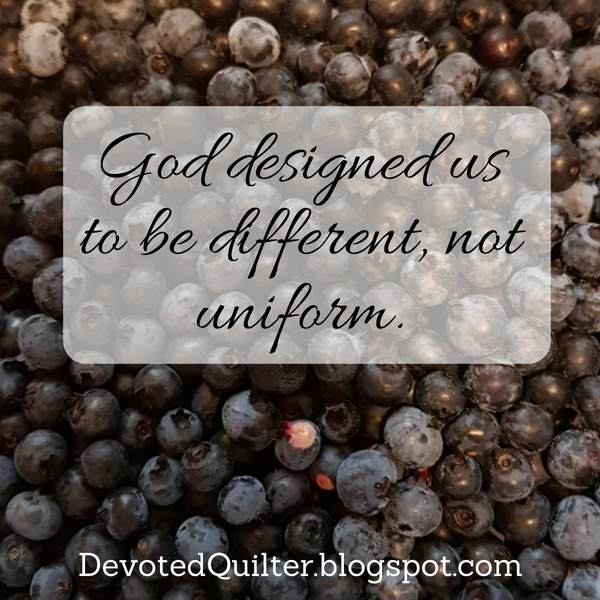 If He designed each one of us to be so very different in so many ways, then why would He then expect His church to be all the same? And if we don't even pick berries the same way, how could we ever dress the same, talk the same and worship the same? The church exists to help others learn about God and to help believers learn and grow to be more like Jesus. We're all part of the church together for that purpose, just as the group of us were all out in the woods together for the purpose of picking berries. But in the church, under the umbrella of that purpose, there's plenty of room for our different styles. FYI, this isn't my first devotion inspired by how we pick blueberries . You can also check out Blueberry Picking. When we heard last week that Aretha Franklin was in the hospital and her family had been called in, my husband said, "Wow. That will be a loss." Then, when she died on Thursday, we heard so many people talking about her music, her involvement with the civil rights movement and how bold it was for a young black woman to have been singing about Respect at that time. What a legacy! What a wonderful way to use her talents to make an impact on the world. It made me think, "What will people say about me when I'm gone?" I don't expect that my passing will make the national news or make headlines even in my small town. Yours may not, either. But that doesn't mean our lives won't impact the people around us in some way. How could we not? People's lives are connected to all of those around them and how one person lives will always have an impact on others. 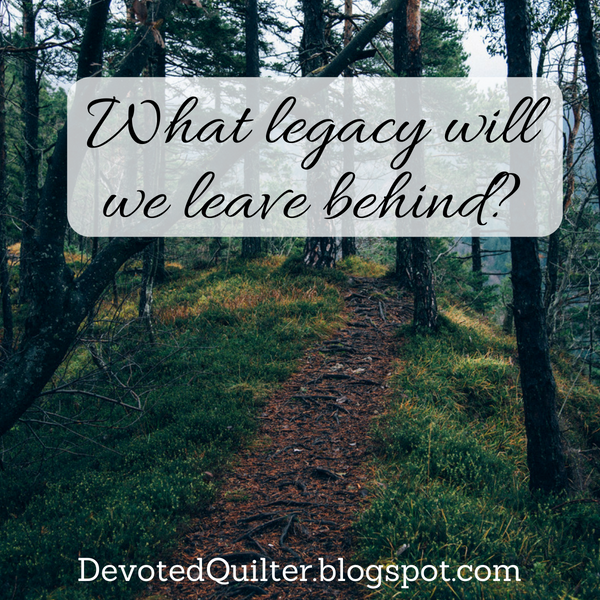 The question is, what will our legacy be? Will it be one of service to a greater good? Or of only serving ourselves? 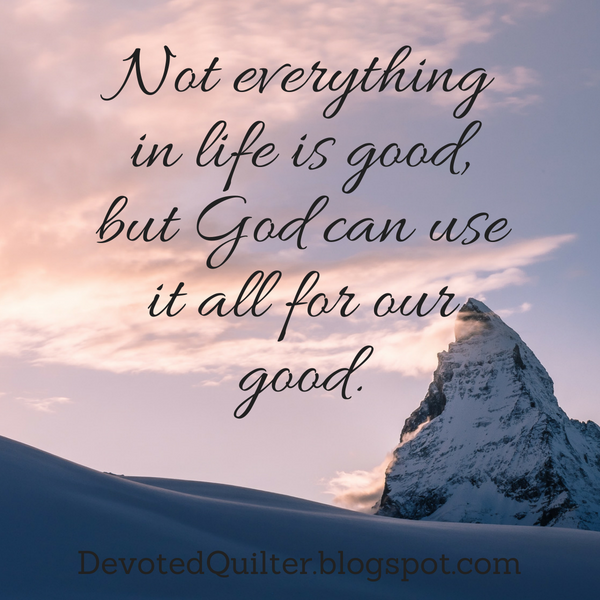 One of using the gifts God gave us to serve Him? Or burying those gifts out of fear and insecurity? One of deep relationships or of being too focused on our work/hobbies/social media to connect with the people around us? And more importantly, one with an emphasis on our faith or one where faith seems irrelevant? Hebrews 11 is sometimes called the "Hall of Faith" because of the great faith of everyone listed. "It was by faith" is the start of all of the short profiles, including Noah, Abraham, Joseph and Moses. Everything these men and women did was founded in their faith in God. I love the profile of Enoch, which says, "It was by faith that Enoch was taken up to heaven without dying—'he disappeared, because God took him.' For before he was taken up, he was known as a person who pleased God" (v. 5). He was known as a person who pleased God. Now there's a legacy to leave behind, wouldn't you say? 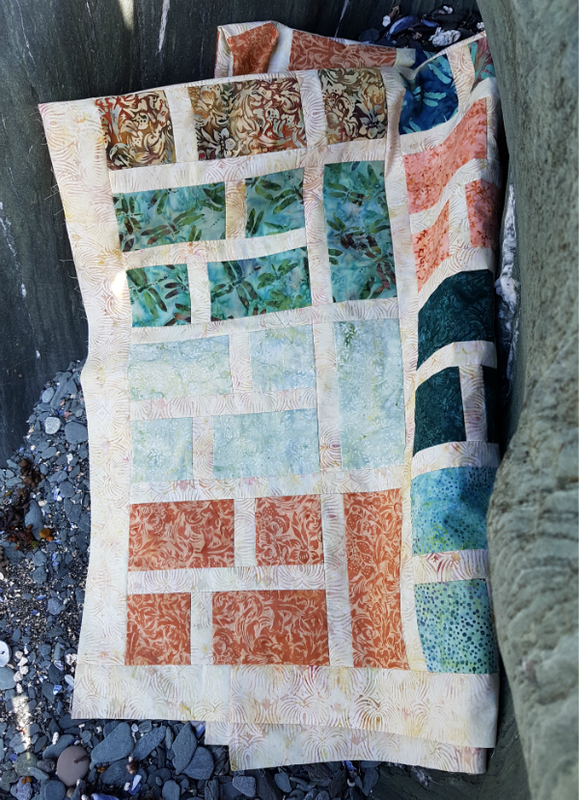 Have you ever been working on a quilt and then really didn't like the process anymore? 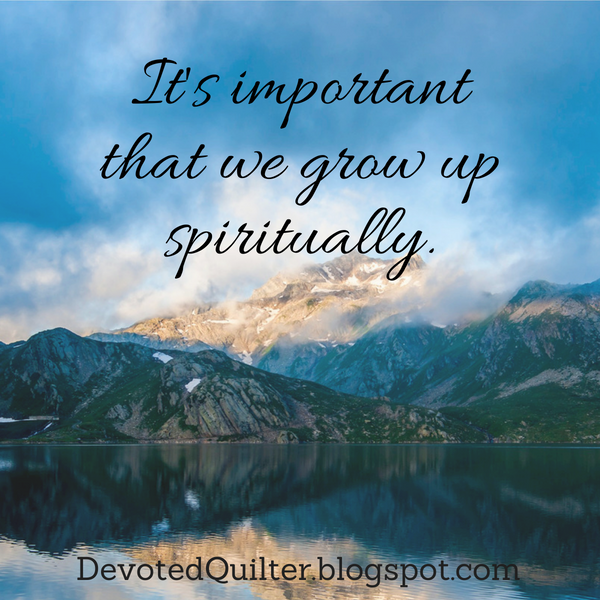 I've been finding that with my Scattered Stars EPP quilt for the past few months. I enjoyed piecing the stars together, but I'm not at all enjoying joining them together. 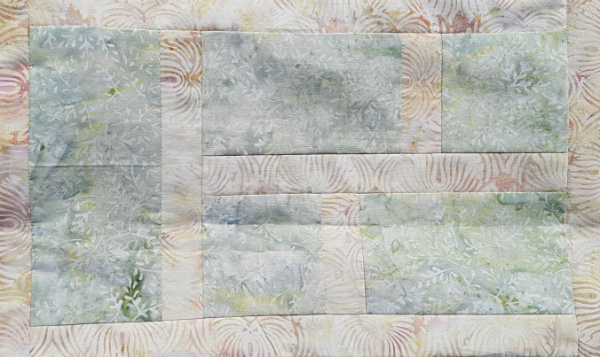 I set out to join them randomly using two different grey fabrics for the background diamonds. 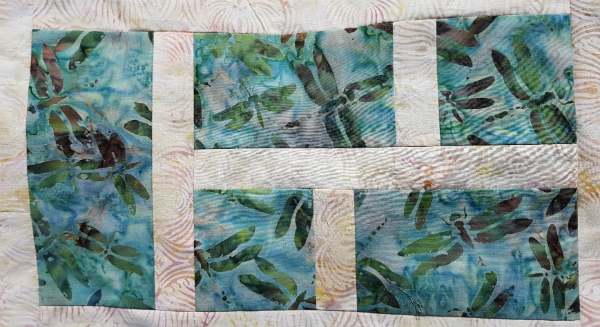 I likened it to doing improv piecing. I wouldn't join the stars in set rows, they'd just be scattered over the background, which is what inspired the name. This is where it stands right now. The problem is, I don't ever want to work on it. 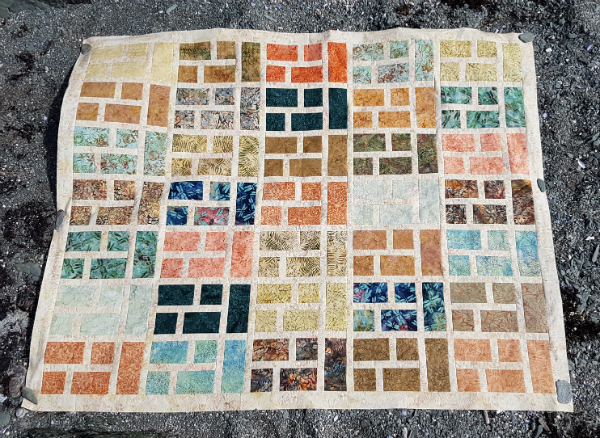 While I do like how it looks, I don't enjoy piecing the randomness nearly as much as I thought I would and I don't like trying to maneuver the weirdly shaped growing sections. But I don't want to stitch the stars together in rows with background diamonds in between either. 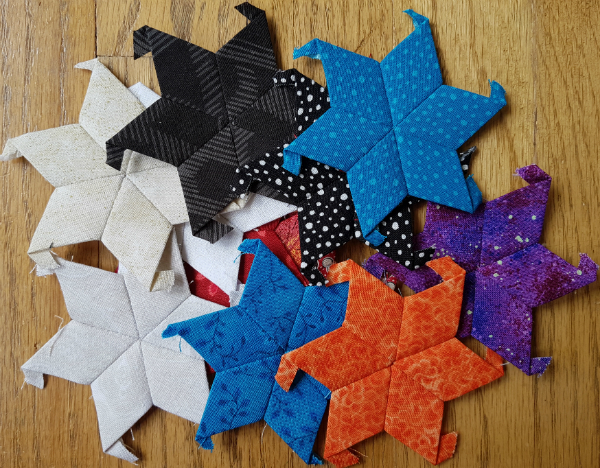 While this one has been in time out, essentially, I've been happily working on my hexie rainbow quilt, so it's not like I don't have an EPP project to work on, but the stars have still been on my mind. At first, I tried to convince myself to keep working on it, but I always chose to pick up the hexies instead. That's a sure sign that I'm not enjoying a project, wouldn't you say? I finally accepted that I'm never going to finish Scattered Stars as it is going right now. That means I have two options...abandon the stars altogether or remove the grey diamonds to free the stars I've already stitched in and use the stars for something else. With over 100 stars made, I'm not fond of the idea of abandoning them, but what else would I use them for? 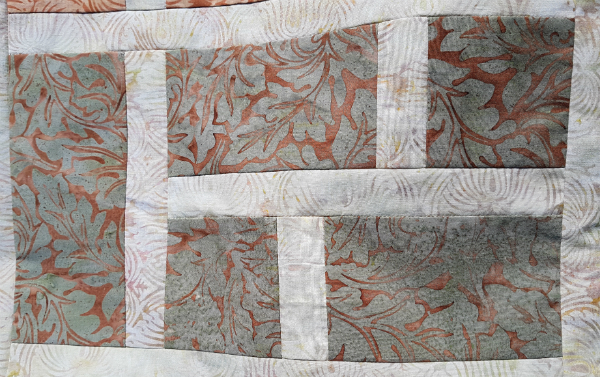 I love the addition of the curved sections in the corners, too, but I'm not sure if/how I'll be incorporating those. 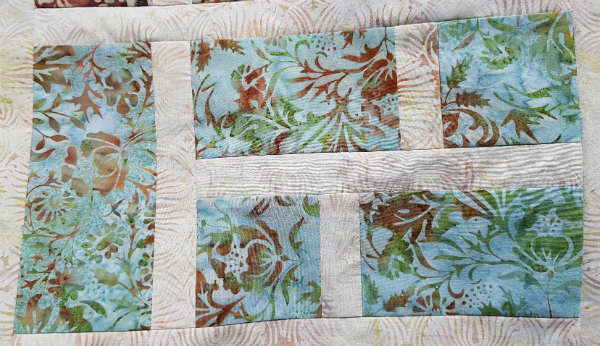 Maybe applique bias tape? Embroidery? 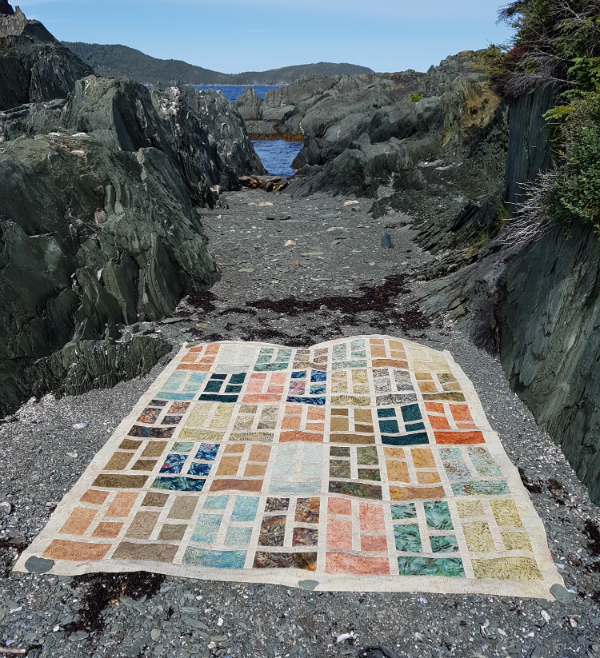 Or maybe they'd make the quilt look too busy. I think I'll have to have a few stars stitched onto backgrounds before I can decide. What colour(s) will I use for the background? There's a riot of colour in the stars, but I purposely made them with all prints and no solids. So I think I may continue the riot of colour in the background, but use all solids. That way I could pair each star with a contrasting background, but (hopefully!) 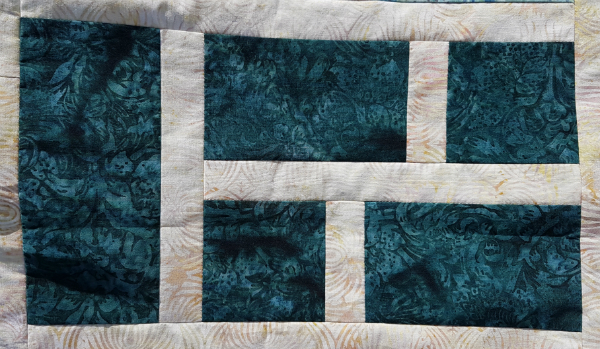 keep the whole quilt from being too busy. And lastly, I don't know if I'll stagger the columns of stars as they are in the picture, or if I'll make them line up neatly. Again, I'll be better able to judge that when I have a few stitched up. Still lots of decisions to be made, but at least now I feel like I have enthusiasm for the project again, which is a big improvement! I want to get a few backgrounds cut so I can start working on stitching the stars while we're on the road, alternating with my hexies 😊 I'll definitely share my progress as I'm going. So how about you? 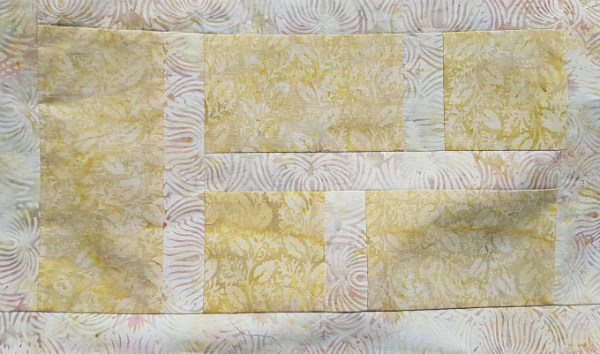 Have you ever completely changed a quilt partway through construction? There are two fun things starting today that I wanted to quickly share with you. The first is an Island Batik blog hop sharing all of their newest fabrics that are just becoming available in stores now. Aaaah the great outdoors. We’re seeing more and more research that says spending time outside is good for your mental health. A lot like quilting, in that way! 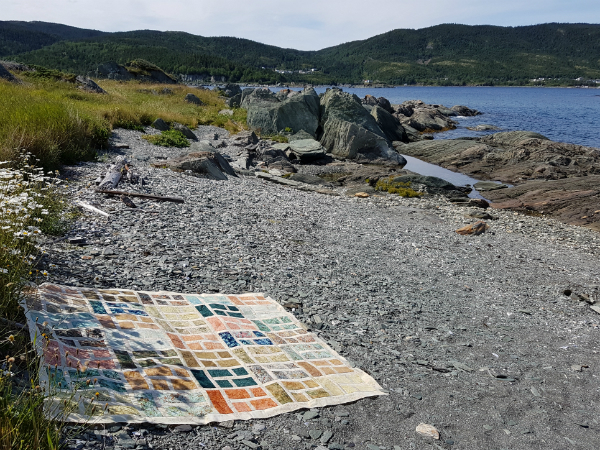 ;) So, on those days when it’s just too hot to fire up the iron and sewing machine, we stay get outside and have fun walking, tending to your garden, or just basking in the glorious (hot) sun! 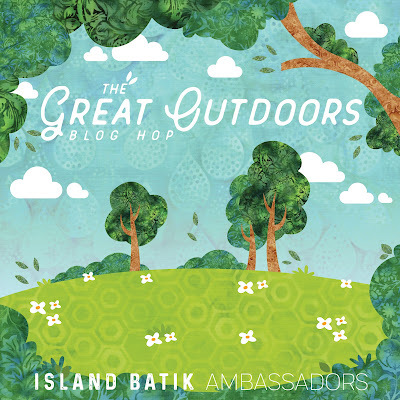 The great outdoors are what inspired the this hop’s theme. 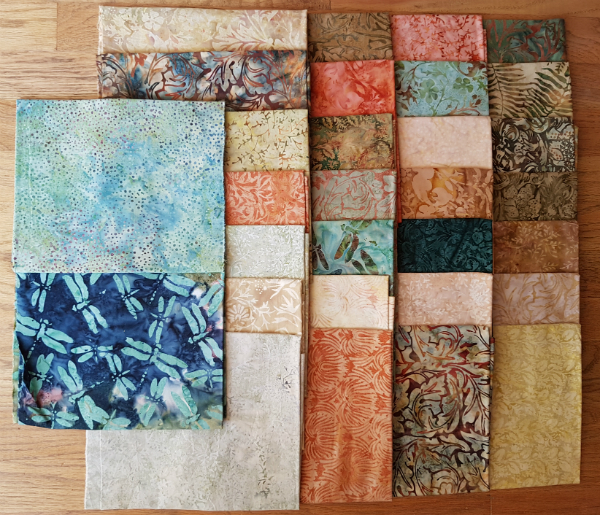 Throughout the month of August, our Ambassadors will be featuring Island Batik’s newest fabrics, appearing on shop shelves SOON! See something you like? Ask for it at your local quilt shop, or request it if you don’t yet see it. We have the most delicious collections to share with you! For the full schedule of participants, click here. The ambassadors are a talented group, so I highly recommend checking out what they've all made. The other thing that starts today is 100hexies100days2018, on Instagram. 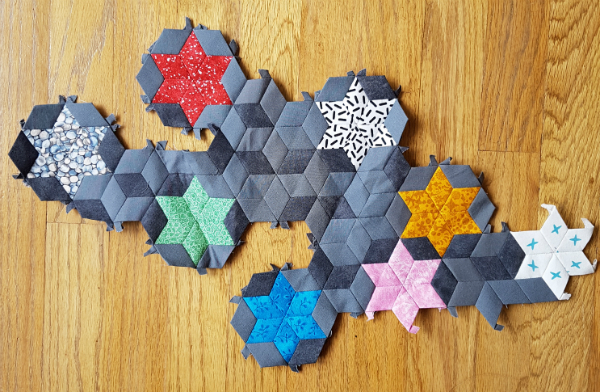 I participated in this challenge last year and had so much fun making and sharing hexies. 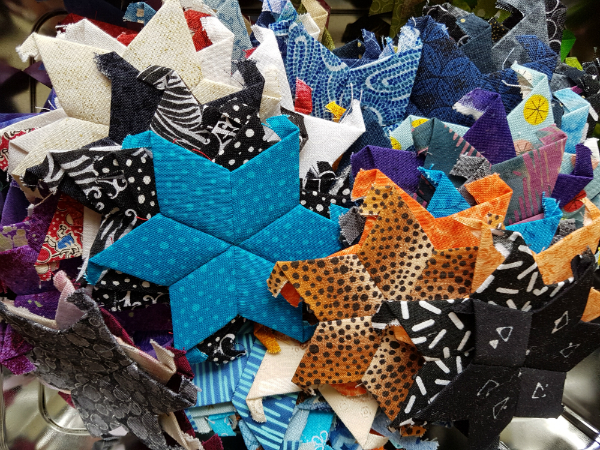 The idea is to make at least 1 EPP hexie every day for 100 days and there are weekly themes and prizes. I'm the prize sponsor for this first week with the theme of All About Me. 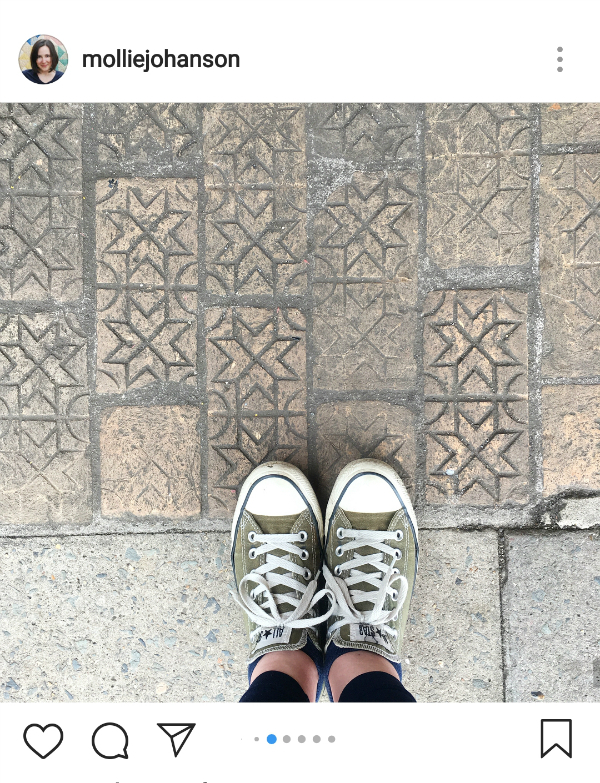 If you like hexies and you're on IG, you should join in! The hexie makers are all so supportive and welcoming, which makes it extra fun. 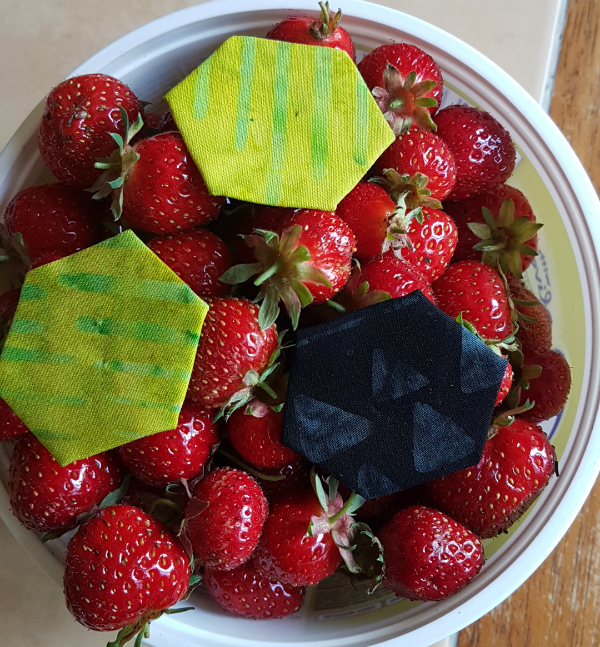 Here are my first hexies, along with some of the strawberries I picked this afternoon. 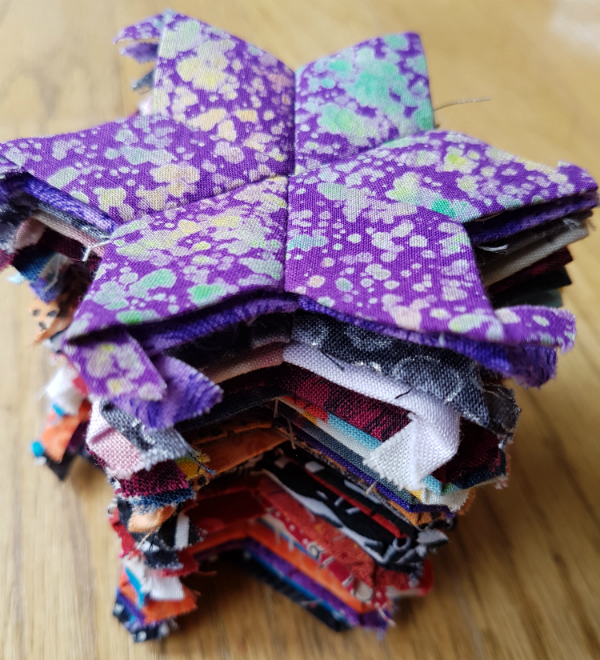 During last year's hexie challenge, I made 429 hexies for my Hexie Rainbow quilt. We'll see how many I make this time around 😊 I still need hundreds of black hexies plus some greens, blues and purples, so I'll probably still need more even after the challenge is finished. Do you know of anything fun that's just getting started? Share in the comments if you do! 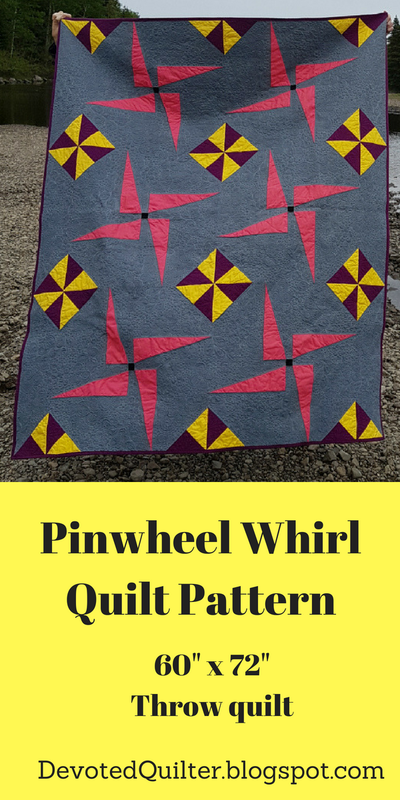 Pinwheel Whirl is one of my favourite quilts that I've made, so I'm excited to be able to release the pattern today! You can get the pattern in both my Etsy and Payhip shops. 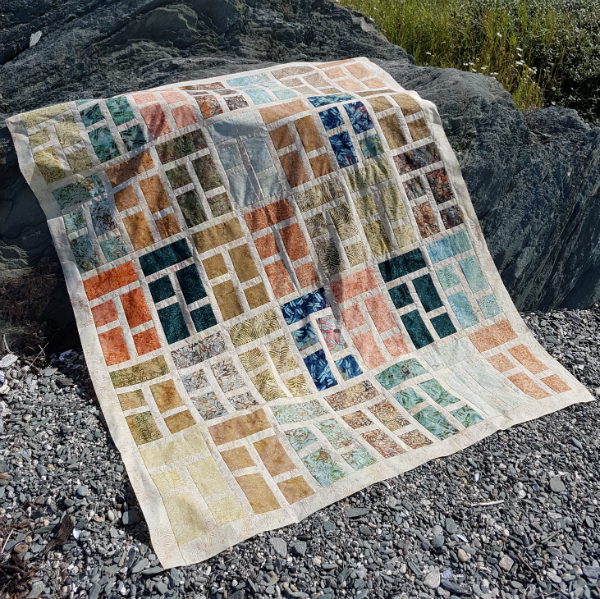 Pinwheel Whirl is a throw sized quilt that finishes at 60" x 72". 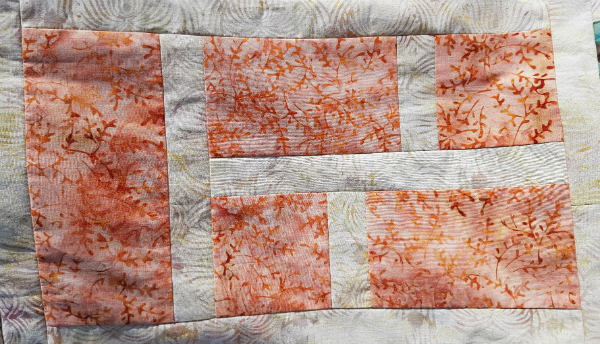 I love pinwheel blocks and had a lot of fun creating this design with two very different pinwheels. 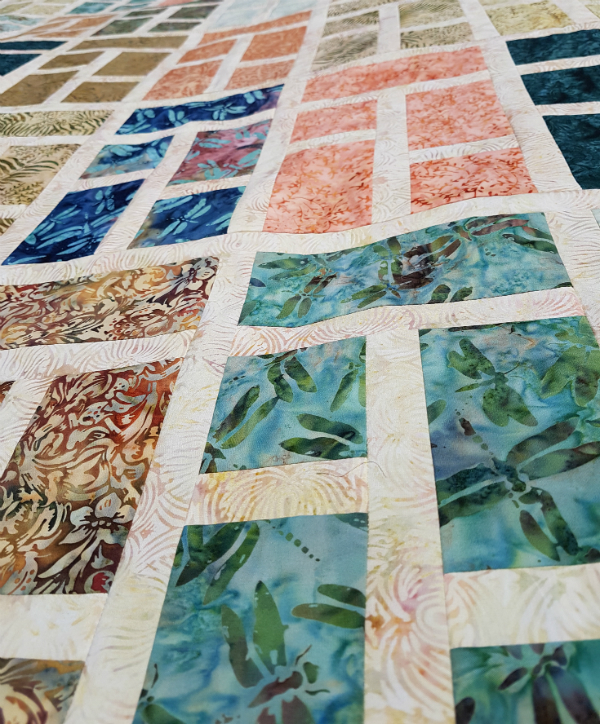 The bold design stitches up quickly using traditional piecing methods and the abundant negative space gives you lots of room for your favourite quilting motifs 😊 We all know how much I love the quilting part, right? To celebrate the release, the pattern is available for 25% off the regular price through August 17th, so pick up your copy today! As always, if you make Pinwheel Whirl, I'd love to see your version so tag me on IG (@devotedquilter) or FB (@devotedquilterdesigns) or send an email to devotedquilter at gmail dot com. Thanks for your support and I can't wait to see what you make!